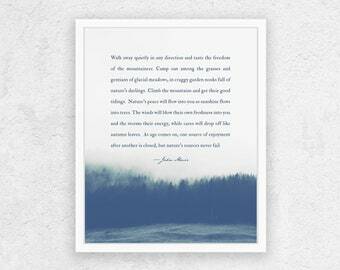 Announcement The Art of Observation: Custom Quote Prints with words that matter to you. 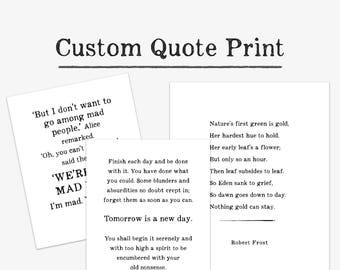 Choose from a selection of ready made items, or create your own custom print. Custom framing is available. 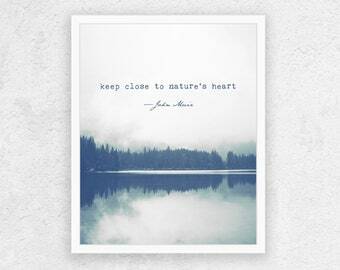 The Art of Observation: Custom Quote Prints with words that matter to you. 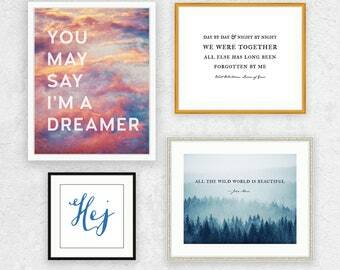 Choose from a selection of ready made items, or create your own custom print. 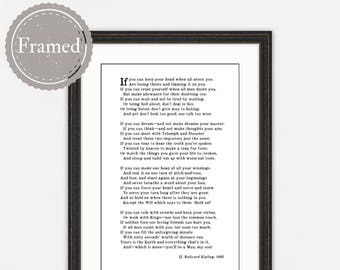 Custom framing is available. Great customer service and super quick shipping! This was a gift for a friend and she LOVED it. Definitely recommended!! 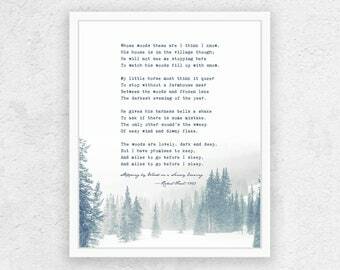 Beautiful print and fast shipping!! Description states the photo paper should not have a shine, however it does. This was to be part of a grouping of prints and it stands out as being different. Additionally, when this was printed, half of the last line was cutoff which is markedly different than what is depicted in the shop images. 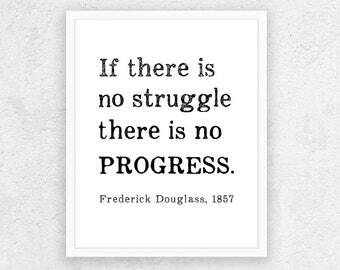 Photograph prints that give you the option to change the words. 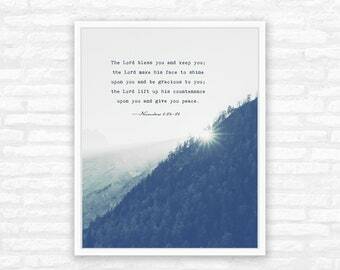 Whether it’s an inspirational quote or your favorite Bible verse, the choice is yours. Really excited about my latest project—turning every day photos into gorgeous indigo blue wall art. These are unique personalized gifts, perfect for the person who has everything... They don’t have this (yet) and they’re going to love it. New to my shop—personalized pet photographs; a special gift for someone who has lost their beloved pal. I will edit your photograph, and add your custom quote and personalization. It’s a Christmas gift that will always be remembered. My husband and I are raising three awesome kids who love to read, swim, and explore. We are DC metro area natives. Will we ever leave? Probably not. This place has a real vibrancy, abundant green space, and hey--the museums are free, and the libraries are full. 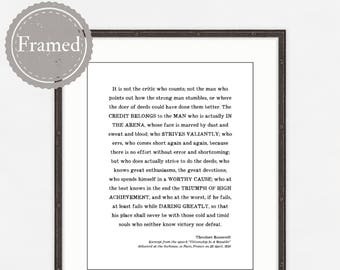 I would be happy to help you create and frame your own custom quote print. 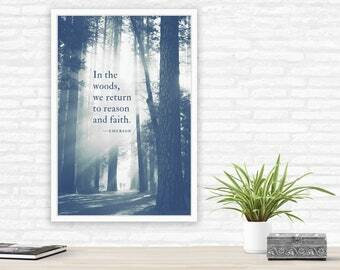 I also have plenty of ready-made literary and inspirational prints from which to choose. 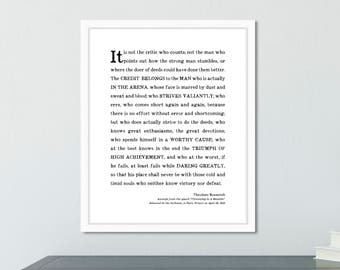 My quote prints combine my love for art and reading. 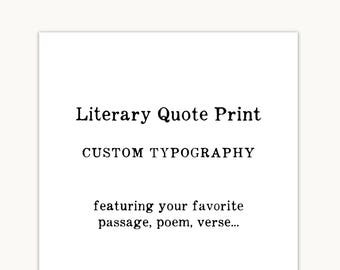 I enjoy creating custom quote prints because I know that each personalized piece contains words that resonate. 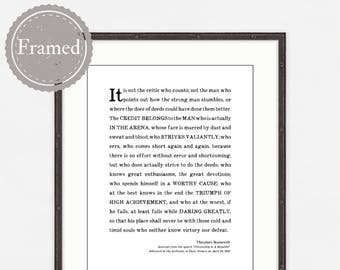 Frames are custom cut and hand-made by Framebridge, who ships them to you--complete with your print--ready to hang. Professionally printed Giclee prints are just beautiful. This production partner prints my designs using archival inks and archival Fine Art Paper. Prints are securely packaged and ship quickly. I chose this manufacturer because they offer personalized service and superior digital printing for artists. Prints are securely packaged and ship quickly. What if my print arrives bent or damaged? Prints are packaged securely, so damage to packages rarely happens. However, if your print arrives bent, please click 'contact the shop owner' and send me a message. If you provide a photo of the damage, a new print will be shipped immediately, at no additional charge. May I feature your shop/listing on my blog/website? Thank you, and please do! Simply include my shop link in your post. If you send me the link, I can share it with others. 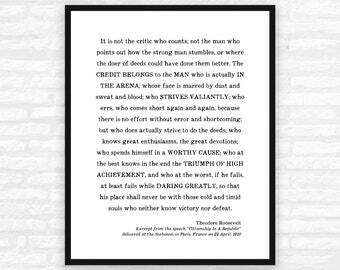 May I get a print size that is not listed in your shop? Very possibly! Please let me know what size you are looking for and I will see what I can do.